The Packers have allowed more yards than they've gained, yet are 14-1. How is this possible? Be suspicious of the narrative. Drafting QBs according to Career Approximate Value. Tom Tango is offering a class for the SABR-minded. Remembering the longest NFL game ever. Let's get right to it. Here is the 2011 All-WPA defensive squad for the AFC. Don't forget, you can click on the position headers to see the stat tables. The NFC continues its dominance for a second year at the DE position. We have to dig down to #5 overall to get to Houston's J.J. Watt and his 1.40 +WPA. Watt is also #16 in +EPA, #6 in SC, and #4 in TF. Watt is not a big sack guy--just 6 on the season. He's generating his numbers in all around play. Oddly, his biggest play came in the big game-winning drive allowed to IND last Thursday night, in which he broke up a 2nd down pass with only 30 seconds to go. Last season, fellow Texan Mario Williams held the top spot in the AFC, but this year he's been absent due to injury. That's a credit to Watt, who's been effective without Williams to absorb double teams. Andre Carter has been effective for NE, putting up 1.27 +WPA. He's also #8 in EPA, #4 in SC, and #7 in TF. His biggest play of the year was a forced fumble on WAS's Rex Grossman in the end zone, recovered by Vince Wilfork for a TD. Alternates for the All-WPA Bowl, to be played in my backyard, will include CLE rookie Jaball Sheard (1.23 +WPA/ 42.5 +EPA/ 44 SC/ 8 sacks) and DEN's Elvis Dumervil (1.22 +WPA/ 33.8 +EPA/ 40 SC/ 11 sacks). Dumervil missed 3 games too. Good to see that he's regained his form after missing all of last season with an injury. Geno Atkins of CIN leads the AFC with 1.45 +WPA. He's also #1 in +EPA, #4 in SC, but #22 in TF. So he's making his impacts largly doing other things besides making routine tackles. He's #1 for DTs with 9 sacks, 15 QB hits (#2), 10 tackles for losses, and has 3 tipped passes and 2 forced fumbles. Quite a year for the second-year DT. Lots of consistent play from Atkins, as he has no outlier big play. The biggest was a 4th quarter sack on 3rd down against CLE's Colt McCoy, good for 0.12 WPA. I was asked in a comment in one of the All-WPA offense posts about why I chose WPA as the stat of choice for the ANS all-star team. Why not EPA, SR or EPA per play, etc? It's a good question. There are a couple reasons. First, WPA is a powerful and unique measure of performance. It's novel, and something you can't get anywhere else. EPA largely mirrors conventional statistical performance--total yards and points. WPA measures heroism, as it accounts for time and score considerations, and it's able to put a number on who really made the most difference in terms of wins and losses. Second, this series of posts is intended as an end of the year retrospective, not a future-looking estimate of player talent. In that sense, it would be a mistake not to use the best past-looking narrative statistic available. A stat is a tool, and like a tool, each stat has its purpose. I'm not a fan of trying to peddle one single uber-stat, just like Home Depot doesn't try to sell one single uber-tool. I favor looking at a line of stats that paints a full picture of a team or player, with each stat capturing a particular dimension of performance. WPA is the tool ideally suited for retrospective measures of documenting 'who did what' in terms of wins and losses. With that, let's turn our attention to the NFC All-WPA defenders for 2011. 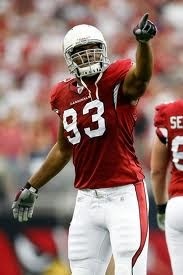 Cardinals lineman Calais Campbell leads the league at DE with 2.15 +WPA. He's #5 in total EPA, #2 in Tackle Factor (TF), and #3 in Success Count (SC). 9 Sacks and 16 QB Hits, and 12 tackles for losses. His biggest play was a 4th quarter fumble recovery deep in CLE territory in a tight game. His second biggest play (which isn't even counted in player WPA because it was a special teams play) was a field goal block with only 4 sec to play against STL. The block kept the game tied and allowed ARI to win in OT. I recently helped the Freakonomics folks and NFL Network with an installment of 'Football Freakonomics', the series of mini-documentaries on interesting wrinkles in fabric of football. This particular feature is on incentives, particularly big contracts and Super Bowl championships. 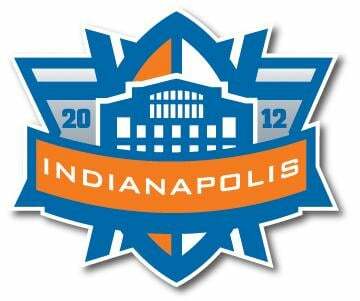 They air periodically on NFL Network, I believe on GameDay Morning on Sundays. After watching it, ANS readers will quickly say 'Wait! What? That's it? What about concepts like regression to the mean or the winner's curse? Wouldn't they explain what we see in the data? We did cover those considerations in detail on camera, but they just didn't make the cut. In defense of the producers, they only have a few minutes to tell an interesting story, and it has to appeal to a broad audience. It's just the nature of the medium. With the final week of the regular season upon us, it's time to see where things stand for the playoff contenders. As always, these numbers come courtesy of Chris Cox at NFL-forecast.com and are generated with the help of his NFL-Forecast software app, which uses the win probabilities generated by the team efficiency model to simulate the NFL season thousands of times. And if you don't buy the game probabilities from Advanced NFL Stats, you can tweak them as much as you like to generate your own playoff projections. I encourage everyone to download the app and test out your own scenarios. Weekly game probabilities are available now at the nytimes.com Fifth Down. This week I regurgitate what I wrote earlier on the importance of playoff seeding. I actually care about stats. This is the second installment of the 2011 All-WPA Teams. This time we'll look at the NFC offense. As I wrote in the intro for the AFC offense: Keep in mind what these stats measure. They are not necessarily the best players in the league. They are the players who actually played the best when it mattered most. It's a narrative statistic, highly sensitive to the circumstances of score and time. For those who are uninterested in WPA, feel free to sort the columns however you like. Click on the position headers below to go to the full lists of players and their stats, and the links behind each player's name will take you to a game-by-game break down of their 2011 season. Aaron Rodgers tops the NFC with 5.83 WPA. He's by far #1 in the league in EPA, which suggests a lot of his gaudy numbers have come when the game was already in hand. He's #3 in SR, and #1 in AYPA. Rodgers had a monster game against NYG, good for 0.94 WPA. Drew Brees is second with 4.94 WPA in his record-breaking season. Brees is #2 in total EPA, #2 in SR, and #4 in AYPA. His most heroic game came against CAR in a 30-27 win. Just like Tom Brady in AFC, Rodgers and Brees had their WPA numbers inflated thanks to their below average defenses, which gave them ample opportunities to match TD for TD. Jonathan Stewart tops the NFC with 1.11 WPA. He's #5 in the league in both total EPA and SR. His 5.1 YPC is tied for #8 in the NFL so far this season. Cam Newton gets all the attention for the CAR offense, but Stewart deserves his share of the credit. Stewart was consistently positive all season, with just two negative WPA games. 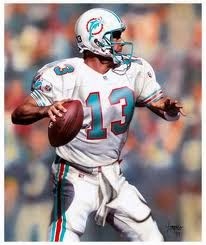 His two biggest games of the season came against DET in a 49-35 loss and against JAX in a 16-10 win. 2009 ushered in the first All-Win Probability Added team, and 2010 continued the tradition. Here's the 2011 All-WPA Team. We'll start with offense. Keep in mind what these stats measure. They are not necessarily the best players in the league. They are the players who actually played the best when it mattered most. It's a narrative statistic, highly sensitive to the circumstances of score and time. For those who are uninterested in WPA, feel free to sort the columns however you like. Click on the position headers below to go to the full lists of players and their stats, and the links behind each player's name will take you to a game-by-game break down of their 2011 season. Top honors this year go to Tom Brady with 6.15 WPA, which is top for the whole league and just a few notches below his insane 2007 season with one game still to play. Brady, perversely, benefited from a very poor NE defense. The way things work, great QBs have more opportunities to gain WPA when their defense keeps giving up points, and Brady took advantage of those opportunities. 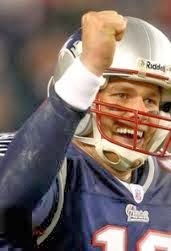 6.15 WPA equates to 0.40 WPA per game--which means his passing game carries his Patriots 4/5 of the way to each victory. Brady is #1 in Success Rate (SR), #3 in total EPA, and #3 in EPA per Play. The NFC owns the #2 through #7 spots on the WPA list, so runner up goes to Joe Flacco with 2.88 WPA. Flacco has made the most of his 12th ranked 65.9 total EPA, playing well when it mattered most. Nearly half of his WPA came from an improbable comeback win at PIT, worth 1.12 WPA for that one game alone. Flacco is not an elite QB, but does appear to be able to manage games behind a league-leading defense. He's 23rd in SR, and tied for 18th in Adjusted Yards Per Attempt (AYPA). These two guys traded spots from last year. Flacco was #1 and Brady was #2. It's no surprise both of their teams are currently sitting #1 and #2 in the AFC seeding. Second-year player Ryan Mathews dominated at his position in WPA this season with 1.41 WPA, which is nearly 25% more than his next nearest rival. That's works out to 0.10 WPA in his 14 games. Mathews consistently racked up positive WPA each game, and had only 3 games of negative WPA. His biggest game was in a loss against DEN, with 0.55 WPA. His total EPA of 25.7 ranks 4th in the league, and his SR is tied for 15th with 43.7%. This week's post at the Washington Post's Redskins Insider site takes a look at the Redskins quarterback situation going into the 2012 off-season. “Best season ever”, “31st in the league”, and “leads the league in interceptions” is a combination that does not bode well for the future of a franchise that would consider standing pat at quarterback. On Monday night we saw history. 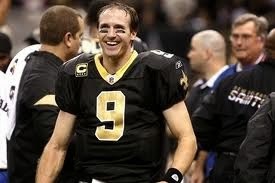 Drew Brees eclipsed Dan Marino's record of 5,084 total passing yards on a late-game touchdown pass to Darren Sproles. Regular readers know that I'm no fan of most ever or least ever records because they're usually just trivia that end up giving the word 'stats' a bad name. Readers also know that total passing yards is not a particularly meaningful way of measuring a quarterback's skill. But it's hard to let the occasion pass without taking note. The Monday Night Football crew did a good job of reminding viewers of the context of the record, even going as far as providing analysis showing how far above average both Marino's and Brees' were for their respective seasons. The NFL's passing numbers have steadily inflated over the years, largely due to rule changes that favor offenses. But like many other sports, it's possible that the athletes have simply improved over time. Defenders can improve too, but who's to say that athletic improvement on both sides of the ball doesn't disproportionately favor the offense. The fact is we simply have no way to tell. We can use some statistical tools to get a feel for how outstanding each season was. Drawing the line at the top 30 passers in both seasons, we can calculate the number of standard deviations Marino and Brees stand above the season average. Marino's 1984 was 2.4 standard deviations above average, while Brees' 2011 (so far) is 1.9 standard deviations above average. Marino achieved his numbers on 564 attempts while Brees has 622 attempts, and counting. Brees has 13 interceptions compared to Marino's 17. According to PFR's Adjusted Net Yards Per Attempt, which factors in yards, attempts, interceptions, and touchdown passes, Marino beats Brees 8.9 to 8.0. One of the unspoken assumptions when discussing Marino's 1984 record is that his record is a 'pure' or 'true' record, and the record set in 2011 is asterisked by the liberal passing rules of today's NFL. But do you know who's record he broke and when that was set? It was Dan Fouts in 1981. Before that the record belonged to...Fouts in 1980. And before that...Fouts in 1979. But prior that, the pro record was an AFL mark set by Joe Namath in 1967. After a convincing run on top, the Houston Texans are no longer the best team on the board. The Charlie Batch-led Steelers have taken over the top ranking thanks to a Texans loss to the now 30th ranked Colts. Unless the Ravens lose to the Bengals this week, the Steelers will be the fifth seed in the AFC Playoffs. While they may have to convince themselves that they don't need home field advantage to win games in the postseason, it certainly won't help their chances against the pesky Ravens and the powerful Patriots. There was one striking statistic which made its way over viewers' screens during Christmas night's game between the Packers and Bears: Green Bay, despite rolling to a 14-1 record and the NFC's top seed, has actually allowed more yards than they have gained. The game against Chicago was a microcosm of this phenomenon, as the Bears outgained the Packers and had a much better success rate despite losing by a final score of 35-21. The Bears had great success in the running game, with Kahlil Bell picking up 123 yards on 23 carries and a whopping 63% success rate and the team overall sporting a 57% success rate. On the other side, the Packers managed only 81 rushing yards on 21 carries, with the Bears holding the Packers to a paltry 32% success rate with the run. As Al Michaels reminded us, running the ball well and stopping the run is often considered the be not only a winning formula, but the winning formula. 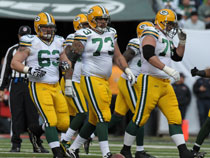 And it's true, for much of the first half in particular, the Packers seemed quite vulnerable. The Bears and their second-string quarterback and third-string running back controlled the ball and racked up yards against the Packers. But the Bears simply couldn't muster the big play until it was too late, and all too often drives stalled around midfield or in deep field goal range. How Important is Opponent Starting Field Position? Earlier this season, I wrote a post about how San Francisco did an excellent job limiting their opponent's starting field position. After a similar dominant performance against Pittsburgh in Week 15, I decided to revisit this topic. This year, the 49ers lead all teams in average starting field position for their opponents; their opponents, on average, start at their own 24.4 yardline. The next best teams? New England Patriots and Green Bay Packers. 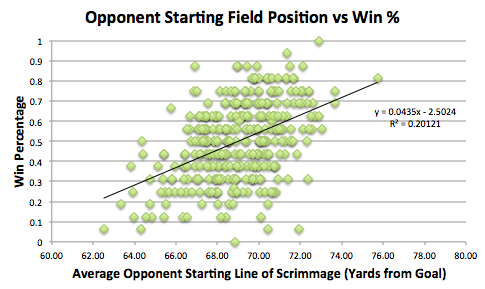 In fact, this year, there is a 0.73 correlation between win percentage and average opponent starting field position. But let's go back. Since 2000, we see a 0.45 correlation between win percentage and average opponent starting field position. Are you an NFL head coach looking for a last-minute gift for that opposing head coach who's so hard to shop for? An Amazon gift certificate, maybe? No, that's not very thoughtful. How about tickets to a game? Nah, he'll probably be busy on Sundays. Something from the NFL Shop? No, he's already got plenty of free NFL stuff. Ooh, I know! Let's give him something he'll really love. How about a punt on 4th and 1 from his 39 yard line? Down by 12 with 4:12 to play, DEN punts on 4th and 8 from the BUF 41. Sure, 4th and 8 seems like a tall order, but DEN was down by 12 points with 4 minutes left! This was a 0.03 WP gift. 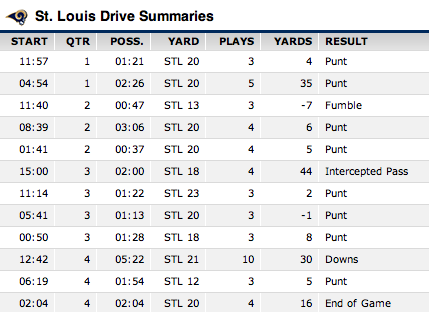 On the first drive of the game, STL punts on 4th and 2 from the PIT 48. Although it seems unconventional, it's the percentage play to go for it there. Besides, it's STL. If they have any hope of beating PIT on the road, they were going to have to take some calculated risks. They didn't. 0.03 WP gift. Up by 4 in the 2nd quarter, NYJ punt on 4th and 1 from the NYG 42. 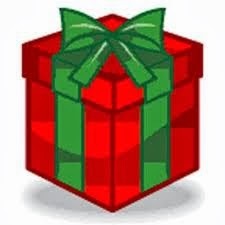 0.02 WP gift. Touchback. 22 net yards. Sweet. Because, you know, 22 yards (or even 32 yds) is almost impossible for an offense to come by these days. Tied at 3 in the second quarter, OAK punts on 4th and 1 from the KC 39. They were able to down it at the 5, but OAK wasn't able to make anything of it, failing to score for the rest of the half. This was a 0.06 WP gift. With 9:35 to play, down by 6, SEA punts on 4th and 1 from the SF 45. This was a 0.08 WP gift. The punt resulted in a touchback, netting 25 yds of field position. SF sure is tough to run on, but the Seahawks are an NFL team, right? This is the time of the year for joy and family and gifts--all that good stuff. But more importantly, it’s also the time for teams to jockey for playoff seeds. I get the sense that the conventional wisdom is that yes, seeds are somewhat important, but the notion that ‘just get in the playoffs and anything can happen’ is the dominant view. But as we'll see, seeding is critically important. We’ve seen many wildcard teams make it to, and even win, the Super Bowl. There are four wildcard berths each year, and when we see a wildcard team make it to the Super Bowl, it’s noted, highlighted, and becomes part of the team narrative. No one remarks when the #3 seed makes it to the big game, despite it being less likely than either of a conference’s two wildcard seeds to make it. Although it’s certainly true that ‘anything can happen’, that’s really only true from the perspective of a neutral observer. If you’re looking at the chance that any one of the four wildcard teams make it to the Super Bowl, you’ve got a pretty solid chance of seeing that happen. But if you look at it from the perspective of one particular wildcard team, your chances of going to the Super Bowl are relatively slim. It’s all a matter of perspective. Football commentators certainly understand that seeds are important—a team would always prefer a higher seed. But I sense that they don’t fully appreciate how critical seeds are in the current NFL format. I hear talk about having home field advantage and having a week off to get healthy, but commentators seem to overlook the most important part of a playoff bye: It’s an automatic win in the first round. Maybe it’s overlooked because it’s so obvious, but those other considerations pale in comparison to the value of a free win. Right away, a bye practically doubles a team’s chance of making it to the Super Bowl. Doubles. A different way of thinking of the playoff format is that the top two seeds are the only two that actually ‘make the playoffs’, and the other four seeds must first win a play-in game. To isolate just how critical seeding is, I calculated the chances each seed would make it to the Super Bowl due to seeding alone, ignoring differences in team strength. The scariest 6 words ever heard by a 49ers fan: "Alex Smith is our long-term quarterback." Smith is having a slightly above-average season with a great defense to bail him out of trouble. But don't fall for the 'finally got the right coach' narrative and think Smith is suddenly a different player than he has proved to be over several seasons. The most succinct way to put it is that Smith's career peak is at league-average. I'm generally adverse to stats like 'fewest rushing TDs allowed'. As I've written before, stats like that aren't really stats. They're questions destined for a sports trivia question-a-day calendar. 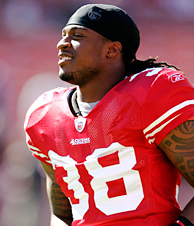 But if the 49ers defense can go an entire season without allowing a rushing TD, that would be very cool. Plus EPA backs up SF as the best defense against the run. 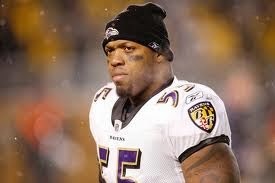 The widest necks in the NFL. I've always thought Takeo Spikes was in a league of his own, but it turns out he has company. A blueprint for Super Bowl victory for each of the playoff contenders. With just two weeks left to play, it's crunch time for the teams on the playoff bubble. As always, these numbers come courtesy of Chris Cox at NFL-forecast.com and are generated with the help of his NFL-Forecast software app, which uses the win probabilities generated by the team efficiency model to simulate the NFL season thousands of times. And if you don't buy the game probabilities from Advanced NFL Stats, you can tweak them as much as you like to generate your own playoff projections. I encourage everyone to download the app and test out your own scenarios. Amazingly, 22 teams are still eligible for a playoff spot. Seven have clinched. Five "control their own destiny." The remaining ten—most of which sit on the brink of elimination this week—need various degrees of help to get into the postseason. The seasons of all four of these teams hang in the balance of these two games. The Cowboys, Giants, and Eagles all remain in contention for the division title in the NFC East, and the Jets are currently holding on to the last wild card spot in the AFC (the Ravens/Steelers have the #5 seed locked up between them). As far as the NFC East goes, the results of these two games are so inextricably linked that it only makes sense to look at them together. The table below lists each team's respective probability of making the playoffs given each of the four possible combinations of game outcomes. This week's post at the Washington Post's Redskins Insider site uses the recent research on the contracts of top safeties to value LaRon Landry's value as an impending free agent. Weekly game probabilities are available now at the nytimes.com Fifth Down. This week I ponder the effect home field advantage when the Giants play "at" the Jets. Running back stat graphs are now available. The graphs are, for now, identical to the quarterback graphs. There are four tabs. Two present RB performance for a particular year, broken out by game and opponent. The other two tabs present RB performance totals by year. Any combination of RBs can be selected. The available seasons go back through 2000. One handy tip is to use the search function. Don't bother scrolling up and down the list of players. Just click on the (tiny) search icon in the upper right corner of the player filter area and type the first few letters of the player's last name. Another tip--To clear the list, select (All) and then deselct (All). Now you have a blank canvas and can begin to add whichever players you'd like to compare. The site menus have been updated so navigation to the visualizations are always just a click away. Happy vizzing. All Hail Total Rushing Yards! Even league insiders are fooled by the simplistic mirage of total yards. I'm doing a salary analysis of RBs right now, similar to what I just did with safeties. It's striking how RBs are paid. They're paid for past total rushing yards, not YPC, not EPA or WPA or SR. More on that in another post, but here is a case study in point. On Sunday the Dolphins beat the Bills 30-23. C.J. Spiller had a great day for the losing team, with 0.05 WPA, 7.9 EPA, 67% SR, and 12 carries at a 7.6 YPC clip. Plus, he caught 9 passes for 76 yds. He totaled 1 rushing TD and 1 receiving TD. Reggie Bush notched -0.03 WPA, 4.0 EPA, 52% SR, and had 25 carries at an 8.1 YPC pace. He caught 1 pass for 6 yds and had a single rushing TD. But Bush lost a fumble that led to a Bills TD, putting his Dolphins in a 1st quarter hole. On the next drive he couldn't convert a 3rd and 1, leading to a punt that resulted in a 0.25 WP low-point for his team. Who gets named AFC Player of the Week? Bush, with his 203 total rushing yards. That clearly trumps Spiller's 91 total rushing yards. But Spiller had the decidedly superior total impact, thanks to his receiving success and the fact he lost no fumbles. You're probably thinking that you have to win the game to get one of those weekly awards. It's not a preoccupation with total rushing yards. Instead, you might say it's a preoccupation with who had the best day on a winning team. I can buy that, until you look at Donald Brown's day on Sunday. Instead of looking at changes in the rankings and what not this week, let's be a little more focused and take a look at where the teams on the playoff bubble sit as of this morning. Thanks to the rough and tumble ways of the NFC East, a top-10 team will likely be kept out of the playoffs. Dallas' defense is largely to thank, as is the Giants' secondary and a general inability to stop the running game. Dallas ranks a mere one spot higher, and they are ahead of the Giants in the playoff race. All is well in the NFC East; except for the Eagles, that is. The preseason hype for the dynamic duo in Detroit of Matthew Stafford and Calvin Johnson was more than justified. With Johnson hauling in 81 of Stafford's 356 completions for an NFC-leading 1,335 yards and 14 touchdowns, the fantasy numbers are there. The advanced numbers agree: through 14 games, Johnson ranks second among receivers in win probability added at 2.52 and ninth in expected points added at 51.4. How Much to Pay a Free Agent? Let's say you have a star safety finishing his final year with your team. What kind of contract offer is he worth? What does the market for such a player look like? This post will begin to answer those questions using salary data and advanced player statistics. Think of this as a 'demonstration of concept', which begins to establish a framework for a quantitative estimate of player contract value. I'll first air the assumptions and limitations. This analysis is based on contract/salary data provided by Spotrac.com. I've limited the years of analysis to only 2010 and '11 because that was the sample of data made available. More years of data could always be added to refine the results. +Expected Points Added per Game (regular season only) is used as the basis of performance because although it's far from perfect, it captures the impact of individual contribution to game outcome without sensitivity to situational variables beyond the control of the player. It also happens that +EPA/G fits best with the salary data, so it is the measure player performance for the purpose of this analysis. Lastly, due to the complexity of contract incentives, bonuses, guarantees, and duration, I have chosen annual 'cap hit' as the measure of contract cost. That's a lot of assumptions, I realize. But the real world is messy, and the purpose here is to establish the general market--a starting point for further adjustments. As you'll see, the relationship between +EPA/G and cap hit is fairly strong, suggesting the assumptions aren't unreasonable. We should also recognize the distinction between observing what players tend to be paid and what they ideally should be paid. In this tumultuous Week 15, we saw the winless Colts beat the Titans, the seemingly unstoppable Packers lose to a floundering Chiefs team, and his holiness, Tim Tebow, lose for the first time in 7 games. Kansas City jumped out to a 6-0 lead with two early field goals, but just as importantly, kept the ball out of Aaron Rodgers' hands by sustaining long drives. 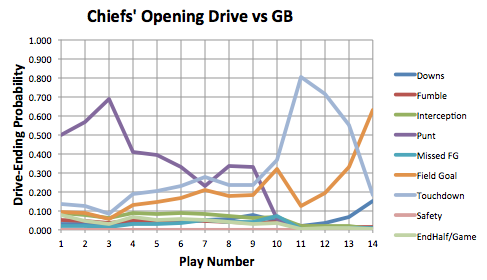 The Chiefs' first three drives totaled 38 plays consuming over 19 minutes of game clock. 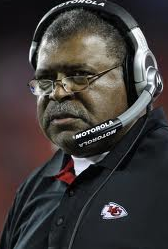 Newly anointed interim head coach Romeo Crennel was also faced with a few early 4th-down decisions. Using our Markov model, we can see how these drives developed. The next step in the evolution of statistical visualizations is player graphs. Starting with quarterbacks, I've created a few different versions. For now, each one is based on Expected Points Added (EPA) per Game. The first tab looks at each QB's season, game-by-game. Opponents are labeled for each game. You can select any combination of QBs in any year back to 2000. Use the search tool in the filter to quickly find any QB by his last name. The gray bands mark +/- 1 standard deviation. The dark vertical line represents the per game average for the selected season. The second tab repeats the same information--a single QB season--but in a different format. A series of line graphs are presented instead of bar graphs. 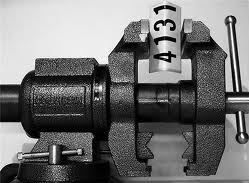 Standard deviation bands and average lines are also included. The third tab lets you plot selected QBs' performance by year on the same plot. Instead of a series of panes, there is one field on which all the chosen QBs can be compared. You'd think this would be the best way to compare players, but it turns out to be unwieldy, especially when you select more than a couple QBs. I've added WPA per game to this tab too. Sunday's numbers are now available, including team stat visualizations, advanced stat box scores, top players of the week, team stats, and season leader boards. The Packers' defensive efficiency ranking is a lot lower than their rankings in terms of other advanced statistical yardsticks including Expected Points Added (EPA), Win Probability Added (WPA), and Success Rate (SR). One explanation for the discrepancy is that GB's offense is so good that the defense can afford to guard the sidelines at the end of games, allowing teams to move the ball while burning clock. Because they know teams need to throw the ball to keep up, they can create big plays, particularly interceptions and big sacks. Their very high interception rate bolsters this theory. Trash-time distorts the relationship between true team strength and team statistics, be they conventional or advanced, total stats or per play. To determine true team strength, we need to weed out the random outcomes and discount trash-time performance. WPA is probably the ultimate explanatory statistic. EPA is less explanatory and more predictive, because it's not subject to the leverage of time and score, but it's also subject to the random outcomes of a bouncing or tipped oblong ellipsoid. One way to eliminate trash time from the data would be to simply throw out the fourth quarter. As it turns out, there is a lot of baby in that bathwater. A better way might be to throw out data based on Win Probability (WP). A statistic that's based on EPA, but limited to when the game is still in play, could be the answer. There's still the problem of the bouncing ball. There are sometimes huge EPA plays--James Harrison's 99-yard TD return in the Super Bowl a couple years ago comes to mind. A play like that represents almost a 12-point swing in EP, but it's the kind of event that's so rare that it makes little sense to project future team performance on such a distorting play. Put simply, it does not have the equivalent predictive value of two solid 80-yard offensive drives. But it's representative of something. We don't want to throw plays like that out. What we can do is limit their statistical impact. We can cap their EPA value at a certain amount, so that no single play will have more or less than a chosen value. Prediction is a lot harder than people think, even with billions of dollars of research and data at your disposal. Freakonomics: What Went Wrong? A look at the errors of the Freakonomics franchise. I'll say from personal experience that the Freakonomics folks are committed to getting the story right. 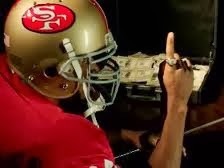 I recently worked with them for one of their 'Football Freakonomics' spots on NFL Network. If you're into data visualization, you'll like these. Or they'll make you really depressed. Either way, here are 10 of the most interesting economic graphs of the year from British economists. Mike Eayrs looks like an interesting fellow. He's the director of research for the Packers. The worst hockey game ever. At least it was innovative. I used this article on double-yolk eggs to explain to a reporter from NPR that the Broncos win streak is not simply the product of their individual game win probabilities. Here was the piece from NPR. A new twist to the visualizations. I've received many good suggestions, and many of them have already been implemented. Chase Stuart, always with a historical perspective, suggested a plot of a single franchise's performance over the past several years. It was easy to do, so I decided to go ahead and publish it. Already there are some great points that stand out. The most consistently balanced superior team since 2000 is PIT. The best offense is IND. NO and NE also have a case to be made. The best defense is BAL. CHI can't catch a break on offense. 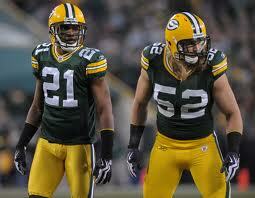 SF is winning this year not because of an improved offense, but because of a much better defense. HOU's improvement this season on defense is stunning. It's even greater than IND's decline in offense. Matt Ryan's and Joe Flacco's impacts on their respective offenses are significant. TB's offense really took a plunge this season. Their defense has steadily declined since their dominant season in 2002. The turnaround in CAR's offense is huge, thanks in large part to Cam Newton. This is probably CAR's best offensive year ever. Weekly game probabilities are available now at the nytimes.com Fifth Down. 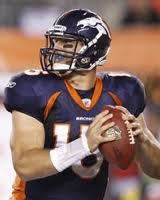 This week I look at how Tim Tebow's unusual numbers affect Denver's chances against New England. Another crazy weekend in the NFL last week, as wins by both the Broncos and Giants resulted in huge swings in the playoff probabilities. As always, these numbers come courtesy of Chris Cox at NFL-forecast.com and are generated with the help of his NFL-Forecast software app, which uses the win probabilities generated by the team efficiency model to simulate the NFL season 5,000 times. And if you don't buy the game probabilities from Advanced NFL Stats, you can tweak them as much as you like to generate your own playoff projections. I encourage everyone to download the app and test out your own scenarios. While the Cowboys' overall probability dropped by 30 points following their loss to the Giants, chances are that their ultimate playoff fate won't be decided until the teams meet again in Week 17. For the Giants to clinch the division before then, they'd have to win both of their games and Dallas would have to lose to Philadelphia (14% probability). For Dallas to clinch before then, they'd have to win their next two games while the Giants lose both of theirs (5% probability). In total, there is a four in five chance that the NFC East will be decided the final week of the season. Mark your calendars. If you've been visiting the team stat visualizations you've certainly noticed some significant additions and changes in recent days. First, due to popular demand, I've added previous seasons. Now you can use the slider bar at the top left to choose any season back through 2000. Playoff games and Super Bowls are included, so if you'd like to narrow things down to the regular season, you can use the Week Filter slider to see only weeks 1 through 17. This new feature allows us to compare the statistical signatures of champions of the recent past with the current contenders. Because playoffs and previous season are now included, I've changed most of the stats to be displayed on a per game basis. For example, instead of saying that the Packers' offense has accumulated 210 Expected Points Added, it's far more intuitive to say their offense has notched 16 EPA per game. That's easier to wrap your head around--16 net points per game. WPA is reported on a per game basis as well. I've also added breakdowns for defensive EPA per play. There's now an additional tab with defensive run EPA/P and pass EPA/P. This week's post at the Washington Post's Redskins Insider site takes a look at the amazingly reliable and ageless London Fletcher. 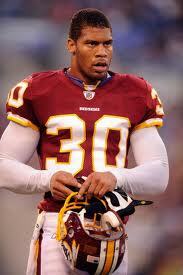 Fletcher, however, accounts for almost 17 percent of the Redskins’ tackles. That’s good for a TF of 1.54, (calculated by dividing his 17 percent by the average linebacker’s 11 percent). Fletcher’s 1.54 is the best of his 14-year career and is tied for the league lead with the 49ers’ Patrick Willis and the Falcons’ Curtis Lofton. In his five years in Washington, Fletcher’s TF has ranked ninth, fifth, fifth, 16th, and is now first among all linebackers. He’s a true tackle machine. As has already been covered here, Week 14 was the week of the comeback for 2011. Although Matt Prater's Denver Broncos will get much of the spotlight among the AFC comeback teams, it was the Houston Texans' last-drive comeback victory against the Cincinnati Bengals which had arguably the biggest impact on the playoff picture in the junior conference. With the loss, the Bengals' playoff odds sink to 20% as they will need to gain a game on the Jets against a schedule still including a game against Baltimore, and they also must stave off Oakland and Tennessee, who are both tied with Cincinnati at 7-6. Meanwhile, the Texans clinched a playoff bid and still own a chance at a first-round bye or even home-field advantage in the AFC playoffs. The Texans looked like a legitimate Super Bowl contender with Matt Schaub. Given the high quality of the Texans' defense (ranked 2nd overall) and running game (42% run success rate), the Texans still looked like an above average team. However, the situation presented to T.J. Yates with 2:33 to go at Cincinatti was precisely the one which is supposed to sink Houston under Yates down the stretch and into the playoffs: down by six points with 80 yards to go on the road. Despite putting up a mere 14 points on the lowly Cleveland Browns, the Pittsburgh Steelers gained ground on the Texans in the pursuit of our top ranking heading into the playoffs. The Texans dropped a full .03 GWP this week while their opponents' GWP didn't move at all. If Pittsburgh puts up a good show on the road against the San Francisco 49ers, they will likely take over the top spot here at Advanced NFL Stats. The Texans get to stay home and play the Panthers and their wounded defense while the third place Packers -- also within striking distance these past few weeks -- will be able to destroy the Chiefs. By request, here is how Denver quarterback Tim Tebow's performance breaks down by quarter. It's nothing short of amazing. He's a very poor performer until halftime, at which point he turns into a mediocre player. But then, in the fourth quarter, he comes alive. Tebow has broken into positive territory in WPA for the season, including the blowout against DET, but has yet to do so in EPA. The two tables below list Tebow's Expected Points Added (EPA) and Win Probability Added (EPA) by quarter for 2011 through week 14. ESPN's stat-savvy NFC-West blogger Mike Sando points out that this past week was the first in NFL history that produced 5 comebacks of 12 or more points, which doesn't even consider the 10-point comeback win by the Denver Tebows. It was a fun weekend in the NFL, no doubt, and there's still one game to go. But have there been other weekends with even better comebacks? Total points is one way to gauge a comeback, but it may not be the best way. A comeback from a 10-point deficit in the 1st quarter is not the same as a 10-point comeback with under 5 minutes to play in the 4th quarter. An alternative way to measure the comebackiness of comebacks is by using the win probability graphs. One of the two cryptic acronyms on the bottom right of each of the WP is CBF, which stands for Comeback Factor. CBF represents the chance that the winning team would be victorious at their low point in the game. For example, the Giants beat the Cowboys last night despite having a WP of only 0.02 at their nadir. That translates into a CBF of 50, because the Giants had about a 1 in 50 shot at winning. WP is not measured below 0.01, so the maximum CBF is 100. Despite all the Tebow-madness, there were quite a few other games decided in the waning seconds. With 0:26 left in the game, Joe Webb and the Vikings were faced with a 4th-and-6 from the Detroit 12, down 6. If the Vikings were only down 3, this is a no brainer: Kicking the field goal results in a win probability of 43% versus only 33% if they go for it. Detroit, however, had tacked on a field goal early in the 4th quarter and their defense came up huge, stopping Webb at the goal line (ignoring any questionably missed face mask calls on the last play of the game). Let's take a look at Detroits' last scoring drive. Anyone who's anyone knows that the peak hours for driving internet traffic are the late-afternoon ones on a December Saturday -- which is why, this late Saturday afternoon, Advanced NFL Stats presents the second installment of our acclaimed series Meet an Offensive Line. Last week, we shook the proverbial hands of, and bought proverbial drinks for, the linemen of the Green Bay Packers' league-leading offense. One could, however -- without much effort, really -- make the case that New Orleans' o-line is better. The Saint offense currently ranks third, behind Green Bay and New England, by GWP. Beyond that, the offensive line is second in -WPA and first, by quite a bit, in -EPA -- both of which metrics measure how good an offensive line is at preventing opposing defenses from making plays that result in losses (of WPA and EPA, respectively, in this case). Furthermore, the Saints feature the second-highest run success rate (Run SR), third-highest Pass SR, and highest overall SR in the league. I love safeties. They're one of the most exciting and interesting plays in football. But keep in mind they're not actually worth 2 points. Jim Glass at the Community site: What clutch victories mean for a team and its coach. Tyler Cowen on the economics of Moneyball. Phil Birnbaum's take. An update to Michael Beouy's betting market power rankings. Some interesting numbers on Denver's Tebow offense. This week's post at the Washington Post's Redskins Insider site takes a look at tendencies of NFL signal callers and Kyle Shanahan in particular. The laws of zero-sum game theory say that there are only two requirements for optimizing payoffs. First, plays should be called relative to their expected effectiveness. Offenses should proportionately favor their own strengths relative to its opposition’s weaknesses. And second, play calls should be unpredictably random. There could be no play caller in the league as unpredictable as a spinner from the game Twister. As silly as it sounds, whenever people are making decisions, they can’t help but create predictable patterns — patterns that can be exploited by the opposition. But even the most prescient defensive coordinator in the world can’t predict a Twister spinner. This week's edition of playoff probabilities debuts new tables indicating each team's probability of advancing to a given round of the playoffs. As always, these numbers come courtesy of Chris Cox at NFL-forecast.com and are generated with the help of his NFL-Forecast software app, which uses the win probabilities generated by the team efficiency model to simulate the NFL season 5,000 times. And if you don't buy the game probabilities from Advanced NFL Stats, you can tweak them as much as you like to generate your own playoff projections. I encourage everyone to download the app and test out your own scenarios. The Broncos continue their upward climb toward the postseason. Their win last week (coupled with a Raiders' loss) increased Denver's overall playoff probability 25 points to 61%, including a 55% chance to win their division and open the postseason at home. With four games left to play, pretty much every game is a high-leverage game for teams in contention. Cincinnati has an opportunity for a big win against the Texans; Detroit is playing a game against the Vikings they do not want to lose; and if Baltimore wants to win the race for the AFC South, they certainly don't want to drop a game to the Colts. But two games in particular stand out as especially important this week. Weekly game probabilities are available now at the nytimes.com Fifth Down. This week I focus on the NFC East showdown between the Giants and Cowboys, and discuss penalty rate, an often overlooked but important stat. Although the Packers may very well have looked mortal Sunday against the Giants, Aaron Rodgers's Olympian season continued. The Packers' quarterback completed 28 of his 46 passes for 369 yards against New York, including four touchdowns. Rodgers did throw his fifth interception of the season, but despite the blemish, he went on to finish with a week-high +0.94 WPA and a 26.0 EPA, trailing only Cam Newton's 27.3 against Tampa Bay. Only Rodgers's 29-for-38, 408 yard, six touchdown game against Denver saw a better EPA, and Rodgers's first fourth-quarter game-winning drive of the year resulted in by far his best WPA of the season. With the performance, Rodgers widened the statistical gap between himself and the rest of the league. His 209.9 expected points added gives him a 43.1 point advantage on second place Drew Brees and his 5.10 WPA gives him a 0.38 lead on second place Tom Brady. We are getting to the point with Rodgers's fantastic season where the 2011 season alone isn't sufficient for comparison -- his 7.9 adjusted yards per attempt is the highest in our sample (dating back to 2006), and his counting statistics are catching up to the best seasons of the new millennium. Is Tebow's Clutch Play Sustainable? Chris Bruce and Andrew Mooney of HSAC do a bang up job using WPA and EPA to analyze Tim Tebow's clutchitude. So, broadly, Tebow has indeed exhibited “clutch” performance –– performing pretty ordinarily overall, but at a higher level when it matters most. Given our previous analysis of other quarterbacks who did this in their first year (including Tom Brady, Aaron Rodgers and Drew Brees), it’s unlikely that this is a sustainable course in the long run. However, it should be encouraging for Tebow fans that his performance has been improving in absolute terms. The Texans are unrelenting, I tell you what. Houston controlled the ball against the Atlanta Falcons and their defense forced a couple of turnovers in route to a win. T.J. Yates may have completed less than 50% of his passes, but he wasn't afraid to go down the field every once in a while, something the Texans and Gary Kubiak were reluctant to do with Matt Leinart. Houston lost Andre Johnson for another week or two after an injury, but their odds of making the playoffs are very high, as they have one more game against Indianapolis to get to the 10 win mark. ...when the the narrative-chasing intuition monkeys get involved. The new team visualizations have received some significant upgrades, incorporating some suggestions from readers. First off, you may have noticed they get their own link under the 'Stats' item in the site main menu, and they now have a permanent home here at Advanced NFL Stats. Next, I've added several tabs to the top of the graphs. Each tab corresponds to a type of stat--Team EPA, Team WPA, Team SR, and Offense Run/Pass EPA per play. Each graph works the same way. Up and to the right are always good, and the best, most balanced teams will be along a diagonal from the center to the upper-right corner. Hovering your cursor over a team will highlight its division for convenient comparison, plus its game-by-game performance is charted in the timelines below the main graph. I've added a label for each opponent, so you can immediately get a feel for how the season has unfolded for each team. The Offense Run/Pass is slightly different than the other graphs because it's looking at offensive running and passing performance, and the numbers are on a per-play basis. The other graphs are offense vs. defense and are cumulative for the season. Lastly, I've added a slider bar to the top so that you can filter the season by weeks. For example, you can narrow the range to only look at the most recent several games, and see how the teams compare. You can compare how teams are trending, or even narrow the range to a single week. The graphs have been updated through the Sunday night game. Suggestions are always welcome. If there is one example that demonstrates the fallacy of field goal range, Sunday's Cowboys-Cardinals game has to be it. With the score tied at 13 and under a minute to play, DAL converted a 3rd and 11 to move the ball to the ARI 31. There it is. Game over. Field goal range, right? Who needs more time when you're inside the 35? At the end of the play there were 26 seconds on the game clock, and DAL had 2 timeouts. DAL milked 18 seconds off the clock, then spiked the ball to stop the clock with 8 seconds to go. 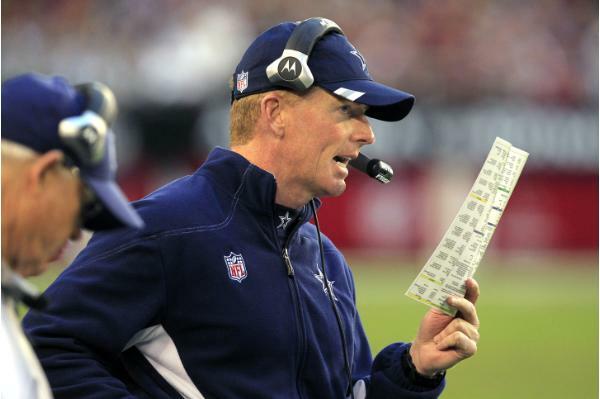 Then, head coach Jason Garrett called a timeout as if he was icing his own kicker. 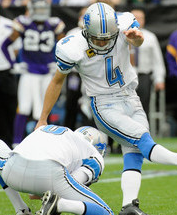 (The icing effect is greatly overstated, and in many cases, it simply gives the kicker a practice kick.) The kick was missed, and the game entered the dice roll of sudden death overtime. With 26 seconds left, DAL could have used one of their 2 timeouts immediately. They could have run two plays, even including one run, and still saved a timeout for a final field goal. With the ball at the 31, a field goal attempt is a 49-yarder, which, on average, is a 65% proposition. Moving the ball just 6 yards increases the chances to 75%. The passing explosion we saw at the onset of the season has mostly imploded in recent weeks, but the fact remains that passing has been exploding in slow motion over the years. There are probably several causes, including rule changes, early player development, and tactical innovations. But one theory I haven't heard is that equipment is helping receivers, specifically their gloves. Have you seen these things? 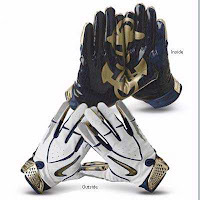 I was in a sporting goods store yesterday, and there was a prominent display featuring special gear Nike created for the Army Navy game next Saturday. For some reason the main focus was on $75 'Vapor Jet' receiver gloves. Being a Navy guy I couldn't resist the display, so I grabbed a pair of the gloves. My God, there is no way a receiver should ever drop any pass wearing these gloves. Whatever the material is on the palms and fingers, it was probably developed by NASA so astronauts could snag meteors while out on spacewalks. Now all those miraculous, acrobatic one-handed catches suddenly make more sense to me. I'm not sure when gloves like that got so good, or exactly what the effect has been, but it's hard to imagine they haven't made a substantial difference. I'm sure other developments in gear have influenced the sport. The trend is toward smaller and lighter pads, and today's helmets are lighter too. Modern cleats in conjunction with the trend toward field turf may also have an effect. I'm saying nothing that will suprise the reader very much when I state that, in football, there's a great deal of interaction between the game's constituent elements. In these pages, for example, we've considered concepts like run-pass balance, fourth-down strategy, and one- versus two-point conversions. In each case, an emphasis on one element will change the effectiveness of the other. If a coach, for example, announced before a game that his team would be running on every down, the opposing team would have an advantage in knowing that. If that same coach called a single pass play at some point, it would likely take the defense by surprise and would also therefore have a better chance of being successful. There's also a great deal of interaction between players. If Packer quarterback Aaron Rodgers completes a 15-yard pass up the middle to wide receiver Jordy Nelson, we know that both Rodgers and Nelson probably did something right on the play. Statistically, we credit both players with a certain quantity of Expected Points Added (EPA) for their respective roles in the play. Of course, a bunch of other stuff probably had to happen for the play to work. Like, Greg Jennings had to cross the path of Jordy Nelson's defender to give Nelson a step's worth of space. And left tackle Marshall Newhouse had to hold off the blind-side defensive end for a long enough period to give Rodgers time to throw. And, before any of that -- like, months or years before -- offensive coordinator Joe Philbin had to conceive of and implement the play. It's hard to be rational. Is it the end of the Rex era? Rookie of the Year watch. Get your nose out of the spreadsheet and watch the game. Using PFR's AV to value draft picks. Great work, Kevin Meers. Good comments there too. Would be interesting to redo Massey-Thaler paper based AV but using the new CBA rookie wage scale. Minor caveat--the draft only gives a team rights to a player in his initial contract, not his entire career. Also from Kevin, the biggest over- and under-achievers according to their draft position. "He is an irony-free individual who seems uninterested in developing an athletic persona based upon rehearsed machismo or wink-wink self awareness." I usually save these for the Roundup, but because this is so clever it gets its own post. Implied power rankings according to point spread markets, complete with a very clever Moneyball reference. This week at the Post I took a look at how deep vertical passes are a vital part of an offensive scheme. This is another bit of research that applies league-wide, but uses the Redskins win over the Seahawks last Sunday as an example. Welcome to this week's edition of playoff probabilities, in which we bastardize Bible verses and take a closer look at the NFC wild card race all in the same post! As always, these numbers come courtesy of Chris Cox at NFL-forecast.com and are generated with the help of his NFL-Forecast software app, which uses the win probabilities generated by the team efficiency model to simulate the NFL season 5,000 times. And if you don't buy the game probabilities from Advanced NFL Stats, you can tweak them as much as you like to generate your own playoff projections. I encourage everyone to download the app and test out your own scenarios. In addition to further feuling Tebow-mania, Denver's win in last week's high-leverage game bumped the Broncos' overall playoff probability up 18 points to 36%, putting them right in the middle of things in the AFC. And no one's loving it more than this guy. On the other side of the ball, after starting the season 4-1, San Diego's sixth straight loss all but eliminated them from playoff contention, dropping them 14 percentage points to just 1%. In the NFC, meanwhile, the Falcons were the big winner, as an Atlanta win combined with losses by both Detroit and Chicago to leave all three teams at 7-4 and tied for the lead in the NFC wild card race. Below we'll take a look at each team's remaining schedule in turn. The number in parentheses is their overall playoff probability, and, for reference, I've listed the degree of difficulty (DOD) of their remaining schedule, obtained by averaging the GWP of their remaining opponents after adjusting to reflect home-field advantage. Weekly game probabilities are available now at the nytimes.com Fifth Down. The write up is a condensed version of the Tebow analysis I just posted. If there was ever a game prepared for a kicker, it was Sunday's Oakland Raiders contest against the Chicago Bears. The Raiders brought an offense with big play potential but with a low success rate against a Bears team among the league leaders in preventing successes. Many situations in football call for the coach to go for it on fourth down more often than we see in practice. This game, however, presents one scenario in which it is often smart to take the points if they're available -- the combination of a misfiring offense and a brick wall defense could tilt the field position game beyond reversal. Of course, getting the three points on a field goal attempt isn't so easy as just calling the kicker and his support team onto the field. Field goals are risky propositions -- anywhere past the 30-yard mark and we encounter at least a 10% chance of failure. The lack of a capable field goal kicker could tilt the equation right back to supporting repeated fourth down conversion attempts. Despite absolutely torching the New York Giants on Monday Night Football, the Saints only move up one spot while beating a top-10 club. Why? The Giants still gained over 450 total offensive yards on New Orleans, and the rankings system doesn't factor in teams playing with a big lead. In reality, I'd probably move them above New England into the four hole, but we need to remember the Saints have lost on the road to both St. Louis and Tampa Bay, so they may need home field advantage to win games in the playoffs. Is Tebow the reason the Broncos are winning? Every third news item or blog post I come across seems to be pulling its collective hair out, pondering the Broncos' 5-1 run. He's a winner! No, he's no good! He can't throw! But he runs! He doesn't turn the ball over! He doesn't take sacks! He puts his team in a hole! He's clutch! On one hand this, on the other hand that. If only their were a single number, tuned precisely to tell us how much a player contributes to his team's fortunes...That would settle the question. Fortunately, that's what Win Probability Added (WPA) does. As a starter in 2011, Tebow has a -0.18 WPA. Suppose the football gods gave us a test with the question, On net, has Tebow helped or hurt the Broncos' chances of winning since he became the starter? Show your work. I'd write down: Hurt. -0.18 WPA. And I'd be marked correct. We could end the discussion right there if we wanted, but that's no fun.